Metal is safe to use in a microwave! Not only is it safe to use, metal can also enhance your cooking experience when microwaving your favourite dishes. For a long time, microwaving foods such as bread and chicken has led to disappointingly soggy, lacklustre results and the dreaded beige dinner. The use of flat metal or foil reflects heat against your food, transforming it from a soggy mess to a crispy delight. Did you know that metal can also be used to prevent parts of your food from overcooking? For example, you can use foil around the edges of a lasagne or brownies to prevent them becoming overdone, creating a more evenly cooked result. Yes, metal is safe to be used in the microwave (hallelujah!) and can massively improve our microwaving experience, but that doesn’t mean we can start chucking all our metal utensils in willy-nilly. The main concern people have when using metal in the microwave is sparks, so the question is, what causes sparks to fly in the microwave? The answer is shape. Thin and jagged edges can cause a build-up of electromagnetic energy, causing sparks and, in severe cases, fire. This can easily be avoided by only using smooth tin foil, as wrinkled foil has those pesky jagged edges, which is why you can safely use a spoon in the microwave, but not a fork. Flat and thick sheets of metal, like the silicone-edged plates in the Lékué grill, are safe too, as they don’t create a build-up of electromagnetic energy. The best way to stay safe is to carefully read the manufacturer’s manual supplied with your microwave. Now, we all love a good old toastie, with oozing cheese mingling with a menagerie of vegetables or meats, bursting with flavour and livening up our lunchtime, don’t we? Lékué have cleverly utilised metal to create their ingeniously versatile and easy-to-use microwave grill, which is perfect for creating delightfully crispy toasties and paninis. How does it work? 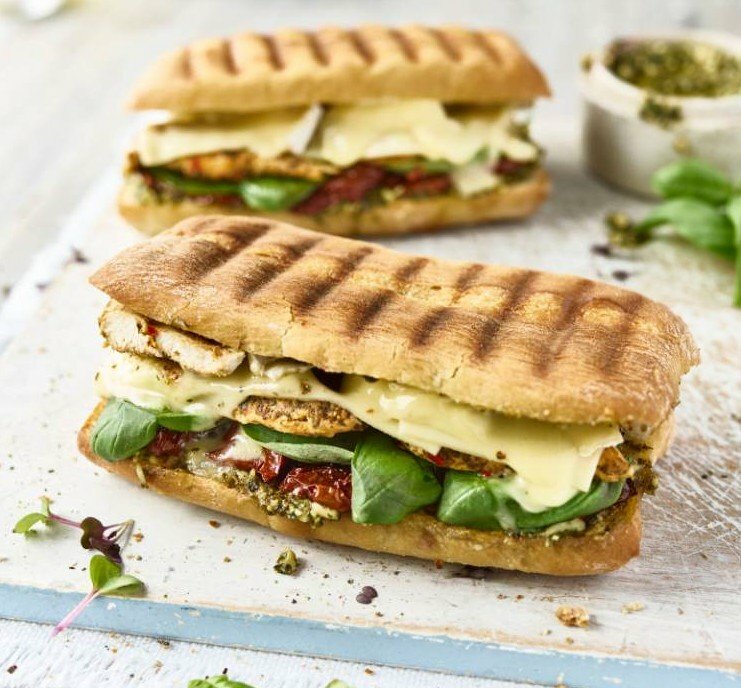 Two ridged non-stick plates coated with aluminium transform microwaves into heat to cook your food, while downward pressure from the top plate creates authentic griddle lines on your toastie or panini. Stretchy silicone loops secure your toasted sandwich, keeping your delicious fillings in place and expanding to accommodate thick sliced bread (or extra fillings!). Being small and lightweight, Lékué’s compact grill takes up very little space compared to traditional bulky toastie machines, freeing up valuable counter space. And it’s also easy to travel with, so you can Lékué your way to toastie perfection at work or on holiday. What else can you make with a microwave grill? The possibilities are endless! Create breakfast-beautiful bacon and sausages, moreish burgers or, if you fancy a healthier option, opt for grilled chicken with vegetables or a succulent fillet of salmon. If you feel like indulging yourself with some well-deserved luxury on a Friday night, slap on a steak, perhaps even adding a few prawns to create a restaurant-worthy surf ‘n’ turf. 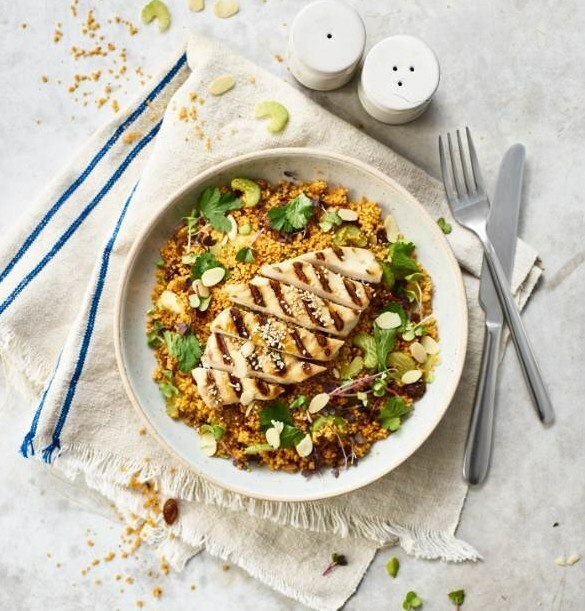 Lékué have included a recipe booklet to get you started, including a recipe for delicious Chicken, Date and Ham Roulades, sure to tantalise your taste buds, as well vegetarian options such as the flavoursome Quinoa and Chickpea Burger. The handy guide also includes suggested cooking times and wattage for a wide variety of meats, fish and vegetables, making it easy for you to experiment with different dishes. 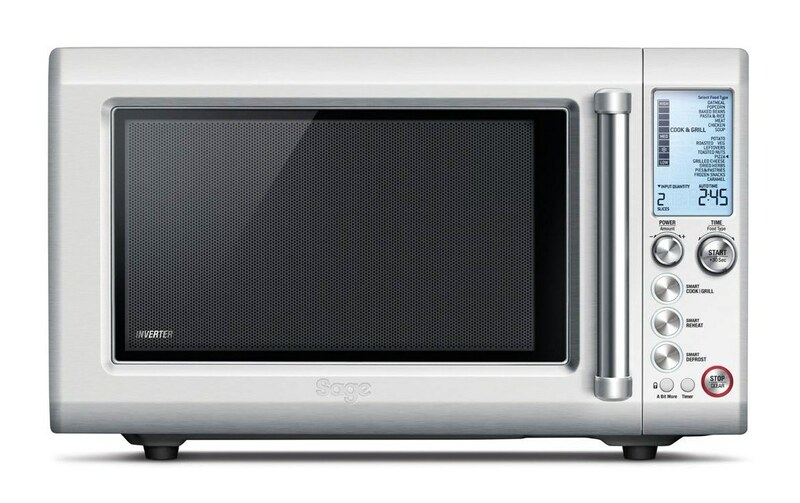 Many people think of microwaves as the at-home equivalent of fast food – convenient and delicious, but not so good for us. However, due to the lower temperatures and shorter cooking times used when microwaving, more of the nutrients are retained. And with the huge variety of microwaveable cooking accessories now available, you can now easily poach, steam, bake and grill your way to a full three-course meal that’s fast but by no means unhealthy. Visit lakeland.co.uk/microwave to check our full range of microwave cooking accessories – you’ll be amazed at how much you can make!